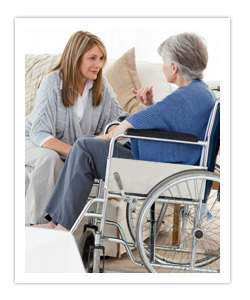 When you refer a patient, client or a friend to Miami Springs Entertainment & Nutrition for the Elderly, you will have peace of mind in knowing that he or she will receive a higher standard of adult day care. MSENE is a trusted name in care; we serve clients and their families each day through our adult day care center. If you have a loved one who can take advantage of an adult day care center, please refer them to us, we offer a highly cost-effective long-term care alternative to nursing home or institutional care. At our center, your loved one will receive loving care, meals and activities in a safe, structured and homelike environment. Our staff will work as a team with you and your patient's family and case manager to develop and implement a tailored plan of care. We also maintain ongoing communication with you, providing feedback on your patient's status and well-being so that the care plan can be adjusted as needed. If you have a client whom you believe would benefit from placement in an Adult Day Care, we will work with you to quickly expedite the referral and enrollment process.